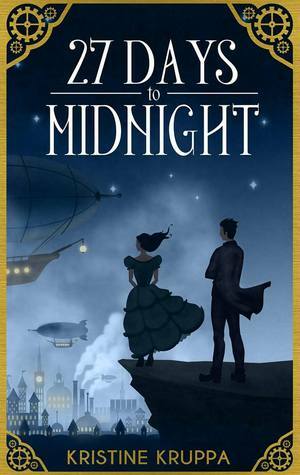 It’s been a while since I’ve treated my reading self to some steampunk fiction, so I was excited to dive into 27 Days to Midnight. The author takes readers to a world in which every person has a watch that holds the time of his or her life; it numbers the very years, months, weeks, and days of each person’s life. 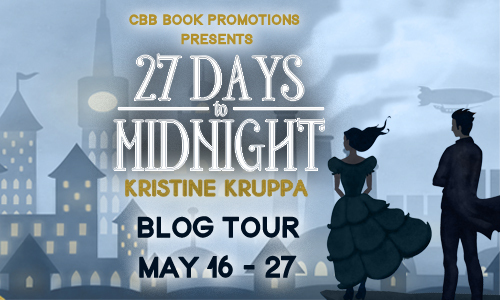 As 27 Days to Midnight begins, Dahlia Walker is celebrating her eighteenth birthday – and the day when her father will unlock her watch, finally allowing Dahlia to see how long – or short – her life will be. But before she can take a look, soldiers burst into her home. Dahlia is shot. In a haze of pain, she sees her father doing something to her watch, but dies before she knows exactly what he is doing. Against all odds, Dahlia survives. But when she wakes, she finds her father dead. Dahlia gathers her things and sets out on a dangerous mission to avenge her father’s murder. Along the way, aided by an enemy soldier who was thrown from a transport in mid-air by the same man who killed her father, Dahlia learns the whole truth about the work her father did. Much more than simply repairing watches, Ansel Walker researched time, trying to find a way to transfer time between two people – or bring back the dead. 27 Days to Midnight is a fast-paced and daring adventure. There’s something in this fun story for all kinds of readers to enjoy. Everyone in Dahlia’s world knows when they’re going to die. I’ve been looking for something steampunk to add to my TBR list. Thanks.